"Eye of Morai Specimen No. 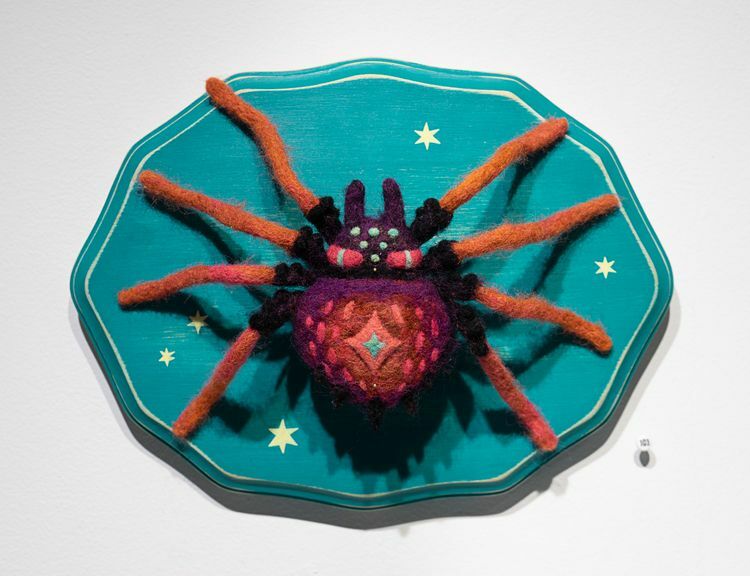 3" by Kayla Edgar for 'Tiny Treasures,' on view at Helikon Gallery through December 21. Needle felted wool and wire on wooden plaque. 8" x 11". Available at https://helikongallery.com/shop/kayla-edgar-eye-of-moirai-specimen-no-3-2/.